The Bouvet Island DXpedition team (3YØZ), is pleased to make an important announcement about our transportation plans to Bouvet Island. From the beginning, we have worked with Nigel Jolly to secure safe, reliable, and affordable transportation to Bouvet. We both have struggled with the costs involved in getting Nigel’s ship and a helicopter from New Zealand to the tip of South America to begin the voyage to Bouvet. Together, we have been working to find alternatives while Nigel’s vessel, the Claymore II stood ready for our use if we could not find a suitable alternative. We are announcing today that we have found an alternate vessel that eliminates the repositioning costs and at the same time adds additional margins of safety for our team. Based on our observations, and our discussions, and based on DAP's reputation and our personal history with DAP; we feel we have found a sound alternative and optimum means of transportation to Bouvet. DAP’s ship is somewhat larger than Nigel’s vessel, and they have offered us two helicopters instead of only one. They are both medium duty, twin engine BO-105 helicopters. 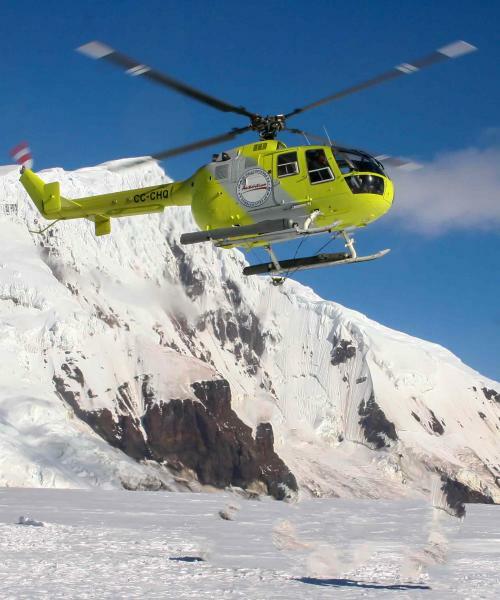 We will also have two pilots and mechanics with years of Antarctic flying experience. The ship is being re-fitted with a hanger to house those two helicopters during transit and poor weather conditions.. 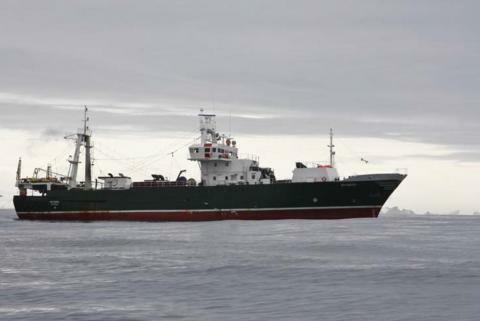 The vessel's Captain and crew have sailed the vessel for many years and have been retained by DAP. Interestingly, one of the crew members that will accompany us to Bouvet is Alejo Contreras Staeding. He is a well known Antarctic explorer, guide, glaciologist and adventurer. We met him in 2006 on the way to Peter I. We are extremely pleased to have him join us. We have signed a Letter of Intent (LOI) with DAP and a formal contract is being drafted. We will review that contract with Nigel, and expect to sign it soon. This is an important step, as the new vessel and the capabilities of DAP will fully complement our team. This is a winning partnership that helps assure not only safety for our team, but an excellent chance of a very successful DXpedition under the extreme circumstances we are expecting. Our departure will be approximately mid-January, 2018, possibly sailing to Bouvet from King George Island. We expect 9-11 day voyage to Bouvet. When the weather allows, we will land on the island by helicopter. Our first priority will be to inspect the terrain, select a site clear of crevasses and establish our shelters stocked with emergency supplies. Once secured, we will bring the rest of our equipment ashore and commence radio operations as soon as possible. We expect to be at Bouvet for 21 days, and allowing for weather, hope to be on the air for 14-16 days. This is likely the most expensive DXpedition ever attempted and the operating team has committed to fund up to 50% of the costs. We are hopeful the DX community will fund the remainder. You may follow our planning progress and see our fund-raisings results on our website bouvetdx.org.